October 7, 2014 – Earlier this week, we went behind-the-scenes with our friends at Superfresh Growers to give you the inside scoop on where your ALDI apples come from. Today, let’s talk cooking. The best apples to cook and bake with are Granny Smith, Golden Delicious and Fuji. We’ll let you in on some of the best kept secrets of these varieties. The distinct citrusy-tart flavor of the Granny Smith makes it a great partner for richer, more savory ingredients and its crisp, firm texture holds up well in cooked preparations. The tang contrasts well with slightly sweet foods such as winter squash or honey-baked ham and the tartness of this apple pairs well with rich sea foods. 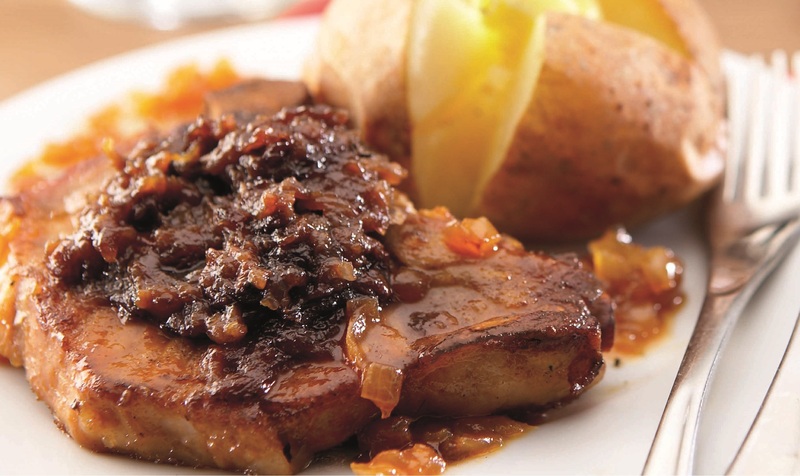 These Pan Seared Pork Chops with Apple Chutney serve up Granny Smiths perfectly. There is a floral freshness and moderate sweetness to the Golden Delicious apple that makes it a great choice to accompany flavors that are neither very sweet nor very tart. 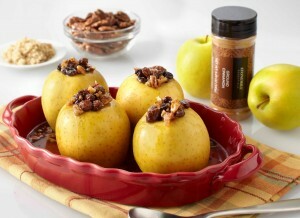 It’s a quintessential apple pie apple and will warm the chilliest of evenings in this Baked Apples recipe. There is an inherent spicy-savory character to the flavor of the Fuji that makes it an all-around favorite for both fresh and cooked uses. 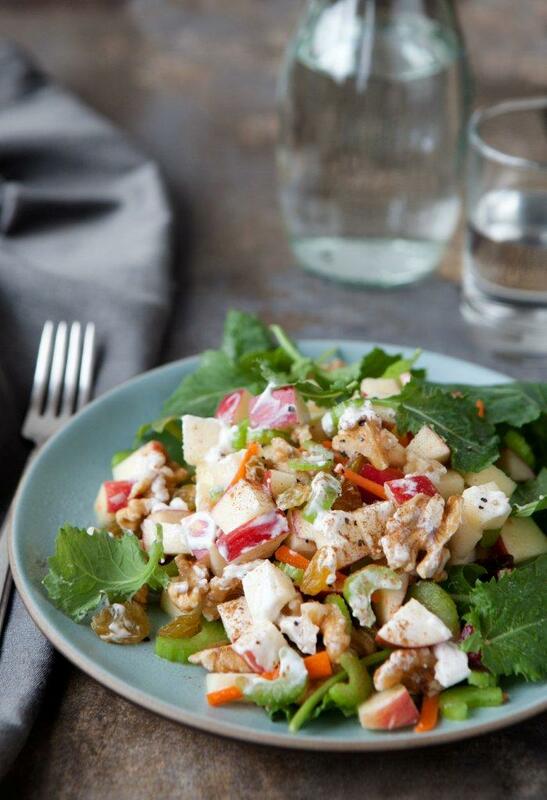 It’s perhaps natural that this apple, with its Japanese heritage, would pair well with Asian flavors such as cilantro, chili peppers, rice vinegar and sesame. This is a wine-friendly apple, making it a good choice for recipes that will be served as an appetizer or main course accompanied by wine. It pairs particularly well with Riesling, Chianti, Merlot and Pinot Noir wines. Do you have a favorite apple? In the comments below, tell us your favorite apple recipe you’ll be making to celebrate National Apple Month! I’m interested in working as a part-time casher. I am 71 years old and unable to do the full work load that the wonderful employees can do. The lines are always in need of extra cashier’s help. Please start a program for us older persons to greatly enjoy and bennifit our Aldi shoppers.